SNK / Playmore has been releasing their never aging Neo Geo titles for all possible gaming platforms. 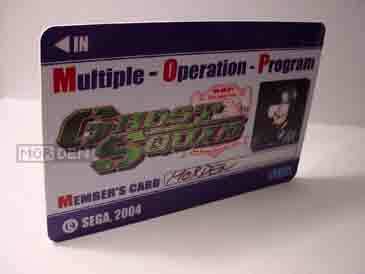 Few years back we could buy single title releases for Sega Saturn, PlayStation and DreamCast. Later came PlayStation 2 and Xbox which brought combined releases like King of Fighters 2000 - 2001 combos. Lately, SNK started releasing more complete compilations, often featuring all titles in one series. One example is recently released Samurai Shodown which offers games from I to V on a single disc, another is the complete Metal Slug Anthology. I have to say, I am really pleased with this buy. 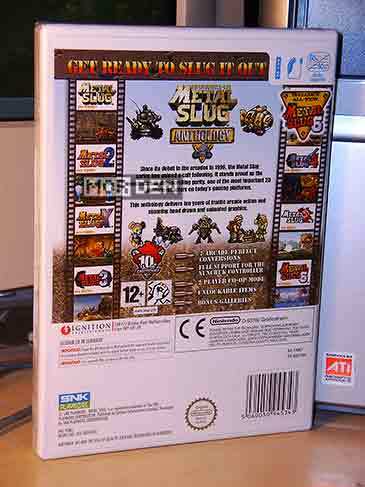 Not only was it cheap, but it contains all of the Neo Geo titles [1 to 5 plus Metal Slug X, which is basically a remixed version of Metal Slug 2] plus the newest game in the series, Metal Slug 6, originally released for the Atomiswave arcade system. 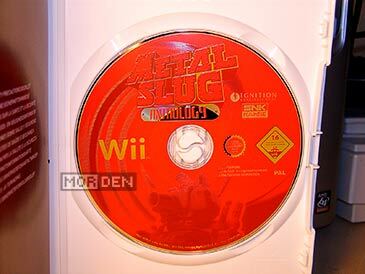 While many people did not bother to buy previous Metal Slug console releases and emulated the Neo Geo rom images instead, Metal Slug 6 was always out of reach. Now it finally hits the home platforms and these include Wii, PlayStation 2 and PSP. Seven high quality old-school titles on one disc is more any SNK fan could ever ask for. The gameplay is of course unchanged, adding only some minor loading times in all of the Neo Geo titles. Strangely, Metal Slug 6 loads instantly between location, without the two second lag seen in the Neo Geo ports. Aside from the seven massive games, there's also a gallery, featuring unlockable audio and art sections. Each time we complete a Metal Slug game from start to finish, we get tokens as a reward. These can be spent on unlocking the gallery sections. 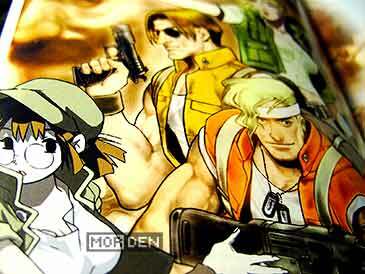 There's quite a bit of concept art and audio content to be unlocked, most of it was however seen in previous releases such as Metal Slug X for the PlayStation which featured a comprehensive gallery plus the Combat School mode, which sadly doesn't make an appearence this time around. Aside from the regular galleries, there are two secret ones to be unlocked. Playing through all of the games on a "hard" difficulty setting and with a limited number of continues supposedly unlocks those, but I can't confirm that at this point simply because I haven't yet beaten everything on "hard". I'm on my way though, so a follow up information will be added. 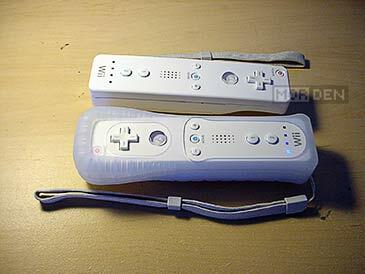 Wii is a peculiar console featuring an unusual controll system with the nunchuck and the remote. 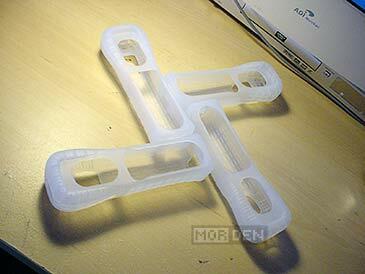 How does it work while playing Metal Slug? There are several controller settings. You can either play using the remote by itself, holding it like a regular NES / Famicom controller, you can play using both the wiimote and the nunchuck, you can play using nunchuck alone and lastly you can connect your GameCube controller. I chose the last option since neither tilting the remote nor using the remote as a controller didn't feel accurate enough. 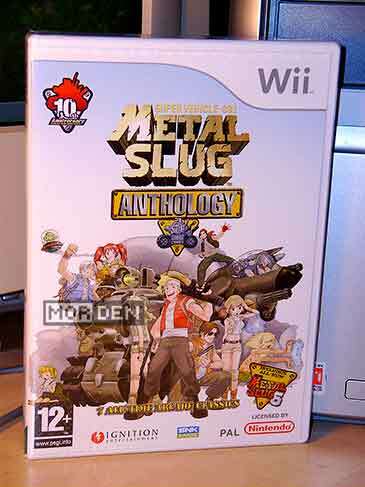 If you're a Metal Slug fan, you should own this compilation. 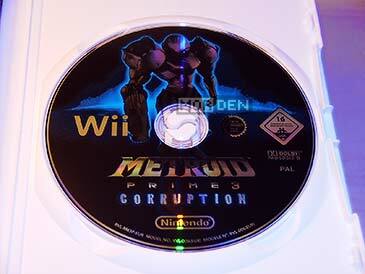 I can personally guarantee that the Wii version works fine and you won't be dissapointed. I advise you to use either the GameCube or a Wii Classic controller because this game is all about fast paced action and accurate movement. To dodge bullets you need to be in full controll of your character. Is there anything I could complain about? There is, in fact. 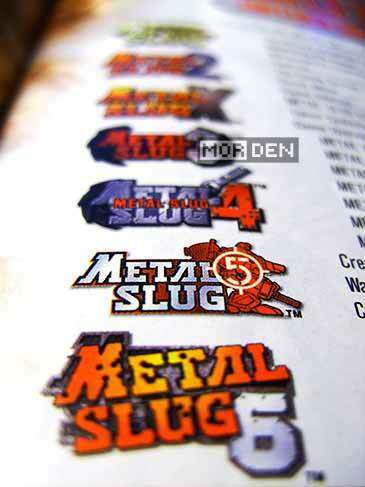 Among the extras there's an unlockable interview with the Metal Slug creators. I was expecting a video but after spending my tokens I found out it's just text. It is still an interesting read, but I was expecting more. Other than that, no complaints. Visit your local store, find it, buy it and enjoy it. 2008.09.13 Sat Wii ☆ Nintendo DS Comment Tweet This! I have waited for quite a while before I picked this title up. Not because I hesitated. I simply wanted the price to drop. When it did, I immediately grabbed it. I'm sure you all know what the game is about so I won't bore you nor spoil the story for you. What I will mention is that at first I approached this game thinking "Will this really work on the Wii, with its peculiar controls?". It does. It works so well in fact, that right now I think the GameCube controls from previous two games feel dated and not up to par. 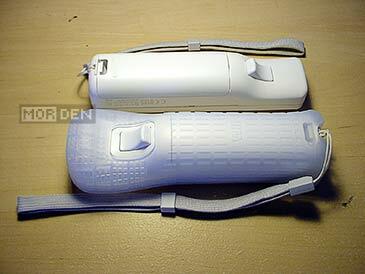 Wiimote allows you to aim and act instantly, beating even the keyboard and mouse setup. Do you own a Wii? Did you like previous games? Do you enjoy FPP puzzle solving wrapped in a ton of action and innovation? Grab this game today because it's totally worth it. I got it for cheap but it sure is worth the full retail price, so if you can spare the cash, do it, and do it today. So what's been changed or improved gameplay wise since the GameCube games? Most notably, the weapon system. While the visor system is mostly the same, aside from how you change the visor modes, weapon system has been revised. When you acquire power ups, the new abilities and characteristics of the beam add. This means you always have one shot, instead of several to choose between. 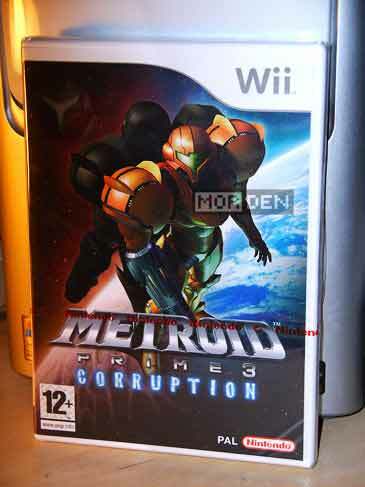 This, plus some minor control changes made to adapt to the Wii, make Metroid Prime 3 a somewhat new experience while it still has all the previous titles had to offer. The polygon count is slightly higher than on GameCube but it's the superb design that captivates me. This is worth so much more than raw console power. 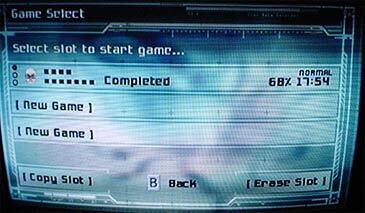 While I was playing Halo 3, I ripped through the game without thinking too much about the world I found myself in. Here however, you can't stop thinking about the ancient civilisations that once inhabited the planets you visit. 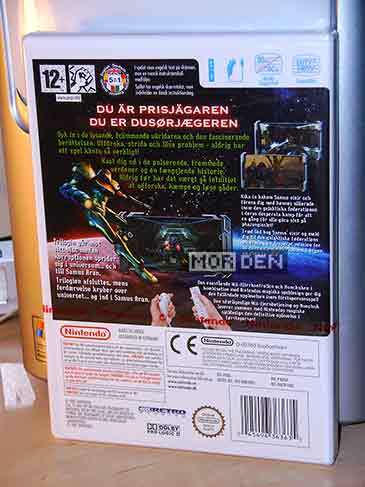 This is pure magic and I'd choose Metroid Prime 3 over Halo 3 any day. 2008.06.29 Sun Wii ☆ Nintendo DS Comment Tweet This! 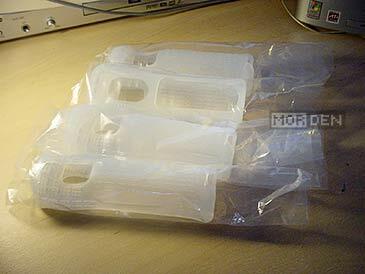 Since I've purchased my Wii and the additional Wiimotes at the time of the launch, I never got the silicone jackets for the controllers and I have the old style wrist straps [supposedly weaker and without the lock clip]. 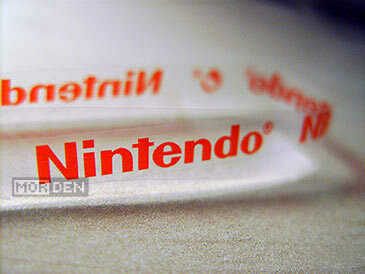 I have emailed Nintendo, requesting the jackets and replacement wrist straps, since they are a standard issue now and are sold with every new console. After nearly two months and a remainder I sent few weeks back I got the jackets. It's all good, right? No, it's not. Not only I had to wait for ages, but I never got the wrist straps. I guess Nintendo figured I should be pleased with what I got and that should shut me up. Screw you Nintendo, you cheap assholes. Tomorrow I'll mail their asses again, and again, and again, untill I get the bloody straps. So know this boys and girls. 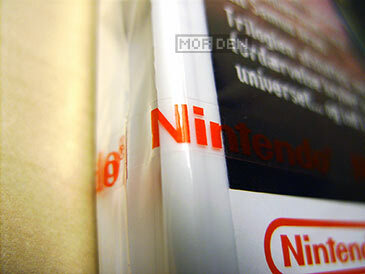 If you have purchased your console before the protective jackets became a standard and before Nintendo started making new straps, mail or call your local Nintendo distributor [or Nintendo themselves, if they have an office in your country] and demand those items. 2008.06.19 Thu Wii ☆ Nintendo DS Comment Tweet This! Finally someone has decided to port the fabulous lightgun shooter called "Ghost Squad" and of all platforms, it's coming to Nintendo's Wii, along with the brand new zapper gun [which in fact is just a nunchuk and wii remote mounted onto some kind of frame]. I've seen the trailers and the screenshots and I must say that the game looks quite good. At the arcades it ran on the Xbox based Chihiro hardware, and that's certainly something Wii could handle, no sweat. One of the main features of Ghost Squad in its arcade form was the internet ranking. 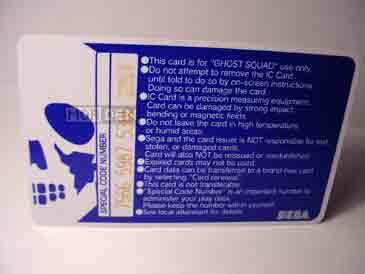 The player could own a IC Card on which all the scores were stored, and upgrades to weapons could be earned gradually. After the finished game the player would get a code which after registering at the official Ghost Squad site, placed the score in the ranking. The score registration was also possible via popular in Japan QR Codes. We'll just have to wait and see how Nintendo solves the Wii version ranking. This is my score from Ghost Squad's web ranking from way back in 2005. The score was gone from the list the next day, but I didn't place too high to begin with. Oh well, at least I was there and I can prove it! Click on the image to get the larger version. 2007.09.22 Sat Wii ☆ Nintendo DS Comment Tweet This! 2007.05.28 Mon Wii ☆ Nintendo DS Comment Tweet This!